The neuron is the functional unit of the nervous system. It is an electrically excitable cell that transfers information within the nervous system. In other words, neurons are centers of communication inside the nervous system. When neurons undergo activation or firing (that is, sending out an electrical impulse), neural transmission occurs. There are many factors that stimulate the process of neural activation or firing. These include heat, pressure, chemical information from other cells, and even heat. A neuron is basically comprised of three parts – the soma, the dendrites and the axon. The central part of a neuron, the soma is the body of the cell where the nucleus is found. The soma is the site for protein synthesis. The dendrites are cellular extensions of a neuron which contain many branches. 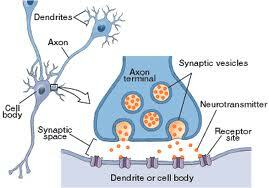 The dendrites transmit electrical stimulation received from other neurons to the cell body or the soma. On the other hand, an axon is the part of the neuron that transmits nerve signals away from the soma to other neurons. Most neurons have only one axon. A difference in electrical charges is called “potential”. 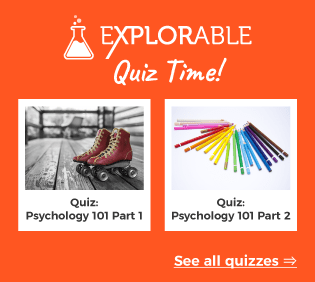 There are two kinds of neural potentials – resting potential and action potential. The resting potential is the type of potential that an inactive neuron maintains. This potential is a negative electric charge which measures about 70 millivolts and is present in a neuron when it is unstimulated. Once the neuron is stimulated, the action potential is produced. The resting potential changes into an action potential if the stimulation reaches the neural threshold (the limit below which the neuron is unable to fire). The stimulation must be able to alter membrane permeability through neuron firing. This change in the membrane permeability, called polarization, facilitates the shifting of negative electrical charges into positive ones along the whole neural cell membrane. After stimulation, the neuron goes back to the resting potential state. What happens when the neural threshold is not reached? There will be no firing or activation, and the neuron will stay at its resting electrical state. However, the level of stimulation does not affect the intensity of the action potential. This means that even if the threshold is exceeded due to a high level of stimulation, the action potential remains the same. Thus, the process follows an “All or None” principle, since the action potential does not rely on the triggering stimulus’ strength, but on the cell membrane’s permeability. The diagram below summarizes neural transmission within the nervous system.